Natchaung River, Diana's Pool, Ct.
Data is 1 hour and 36 minutes old. 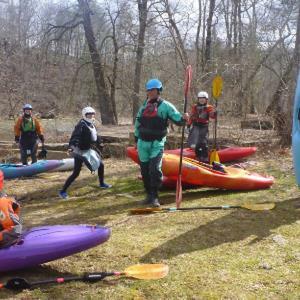 We are one of the largest whitewater clubs in the East, and despite our name, serve New Jersey, Pennsylvania and Connecticut as well as New York, where we formed in 1959. 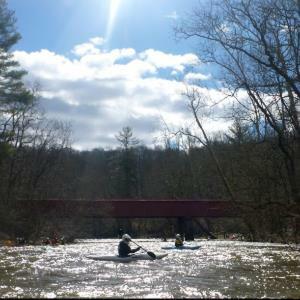 KCCNY features a whitewater paddling program with novice, intermediate, or expert trips planned for each weekend of the paddling season, though the die hards paddle year round! 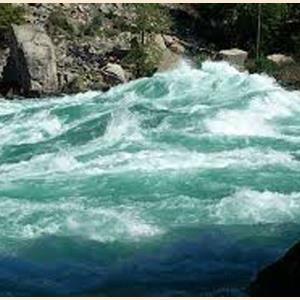 We run rivers from Canada to the Carolinas, with most trips within a three-hour drive of New York City. 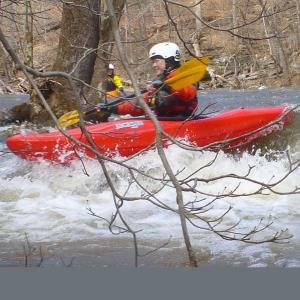 KCCNY offers instructional opportunities for everyone from the beginner through advanced paddlers. 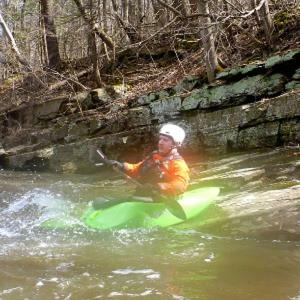 The winter pool sessions are an excellent time for boaters to begin learning or sharpening up their Eskimo roll and strokes, which definitely makes whitewater safer and more fun. To join us, please print, fill out and mail our application form, or contact our membership chairman, Dan Kirsch at dkirsch@kirschandkirsch.com . KCCNY members can subscribe to our email blog, which is constantly updated with interesting articles, click on the KCCNY Blog item in the menu on the left. For more information about our club, click on the About menu item above.